As I walked into The Ubiquitous Chip I was warmly welcomed by James MacDuffie part of sommelier team of The Ubiquitous Chip and Iain Croucher. We had a short discussion about the night ahead and also a brief chat about A.D Rattray and their Whisky Experience and shop near Ayr. Also James told me more at the bar/restaurant facilities and what they are trying to achieve in this very busy West-end establishment. 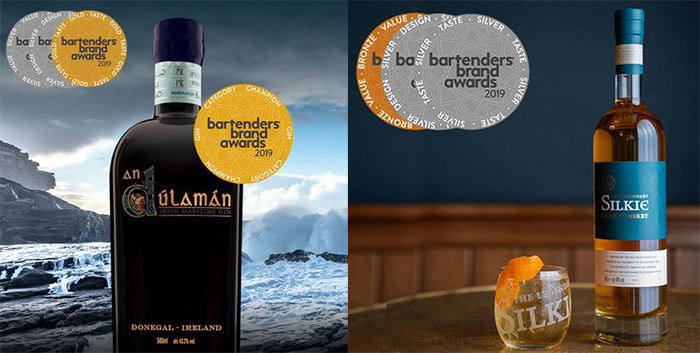 He talked about their wine club and how busy that is at present and wanting to take the Whisky Club to the same level with 60-70 people tasting every club meeting which is going to be on every two months. As more people started to arrive you could feel the buzz going around the room with everyone waiting patiently for the whisky club tasting to begin. Ian also had a wee trick up his sleeve as he had just started to burn some peat behind the bar to create a peaty atmosphere around the room. 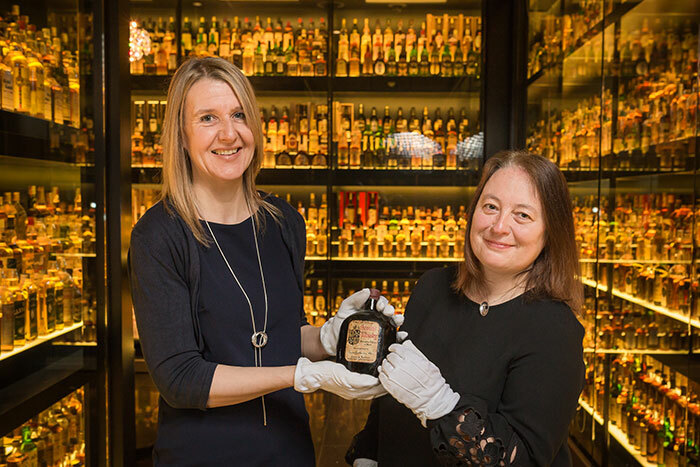 This made everyone in the room take notice as the smell of burning peat is a one to remember and set a perfect atmosphere for the night tasting ahead. Just after 6.30pm the whisky tasting night began and it was James who had the first word and welcomed the 30 or so whisky lovers to the launch of The Ubiquitous Chip whisky club. He quickly told everyone the format of the night and how food was going to be served with each of the whiskies we were all about to consume. He then welcomed Iain Croucher from A.D. Rattray to start the whisky tasting. Ian then told the whisky crowd what treats they were in for over the next 60 minutes and so started off explaining more about A.D. Rattray and the history of this independent bottler. He then went on to talk about how they are an independent bottler and have a shop and a whisky experience in the village of Kirksowald near Ayr. 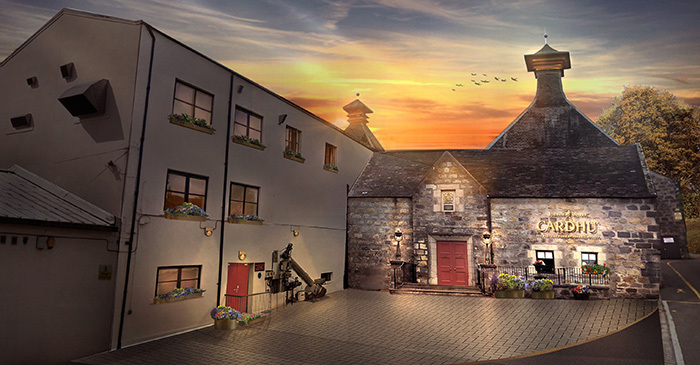 This whisky experience in Ayrshire is packed with whisky treats like visiting the Cask Room where you can see a traditional 'under bond' whisky warehouse. You can also see a working "Sample Room" and then make use of their "Tasting Room". He went on to say how this tasting room can accommodate up to 20 people and tasting sessions last for 60 to 90 minutes. The chatter around the room was becoming louder as the first whisky was being distributed. This whisky was called "Bank Note" and is a premium 5 Year Old Blended whisky with 40% of the whisky coming from malt whiskies from the Speyside and Highland regions. 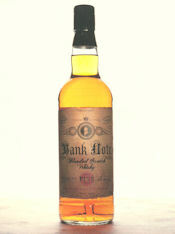 The other 60% of "Bank Note" comes from the purest grain whisky from the Lowlands of Scotland. 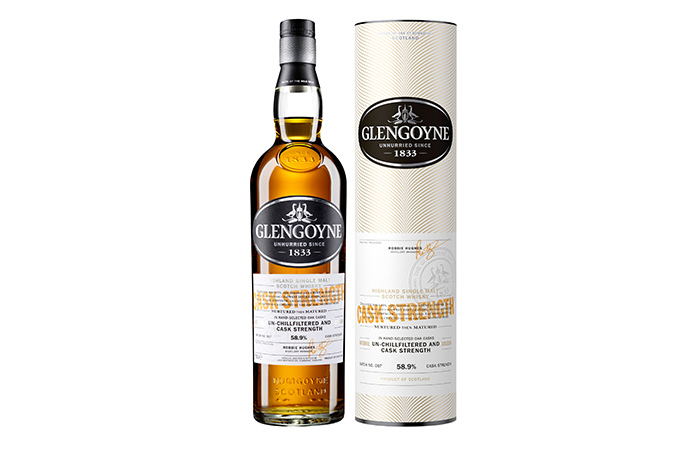 We were all told that this blend was slowly matured in oak casks and this produces a mellow taste with sweet richness and good depth in flavour. The strength of this blend was 43% ABV. Food nibbles were also served at this time to go along with this excellent blend and everyone in the 30 strong crown were showing its appreciation to what was an excellent first whisky out of four to be tried at The Ubiquitous Chip Whisky Club. Now we went onto the second whisky which was a Stronachie 10 year old malt with a strength of 43% ABV. 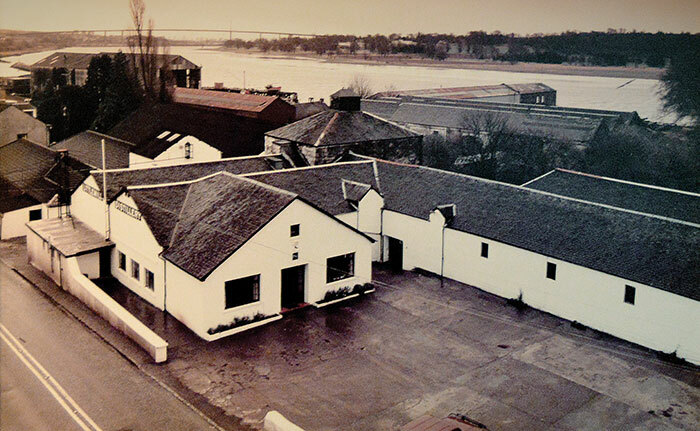 A.D. Rattray bought this malt back to life after the distillery closed down in 1928. 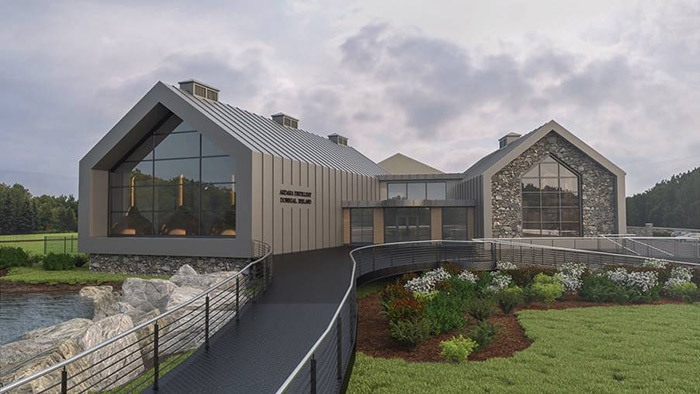 Stonachie Distillery was located on the Perth-Kinross border and was a traditional Highland-style whisky. 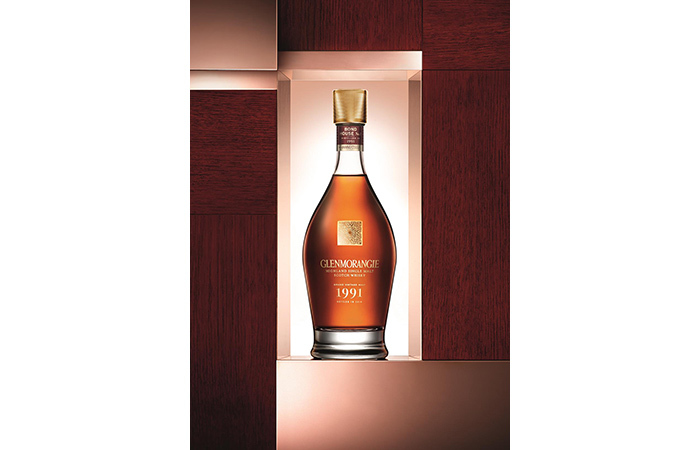 They managed to reproduce this malt after they bought an original bottle Stronachie 1904 and sampled the malt. 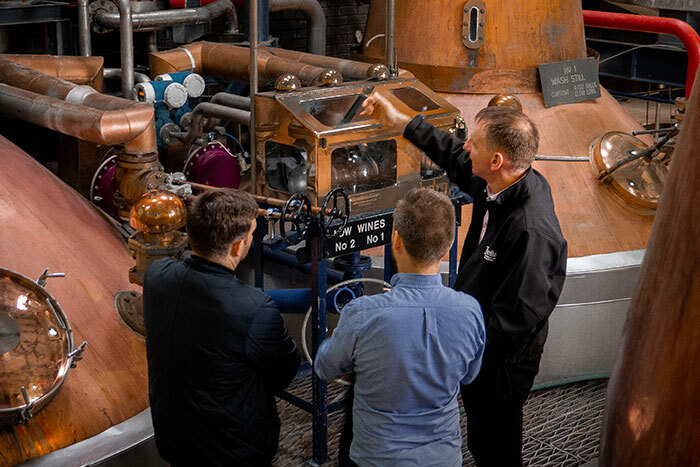 They then went off and tried a number of Highland malts to see which ones where the closest to the original Stronachie and decided to go with the malt produced at the Benrinnes Distillery. So this was how the 10 Year Old was brought to the whisky public and with the whisky club now was in full swing you could tell that everyone in the "wee bar" was enjoying their first malt of the evening. 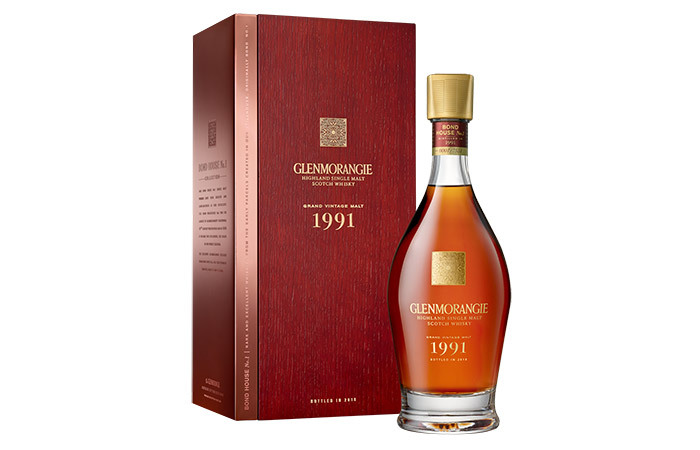 Palate : Smooth with luscious honey and biscuits, then lingering pepper and cereal notes. 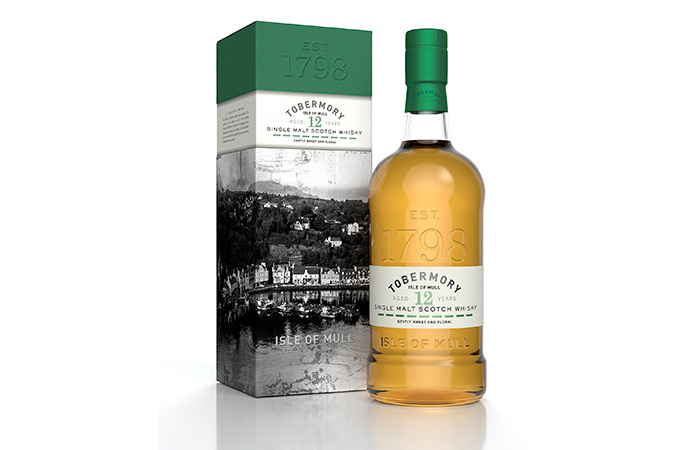 Finish : A perfectly balanced and seductive dram. 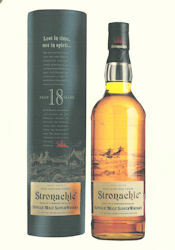 Now onto the third whisky and this was a 18 Year Old Stronachie with a strength of 46% ABV. As you will already know by reading about the 10 Year Old this malt was made from whisky from the Benrinnes Distillery and was a beauty to consume. It was excellent from the first nose of the malt to the rich finish. Again nibbles were handed out by the experience The Ubiquitous Chip staff and the food went hand in hand with the 18 Year Old. Palate : Full-bodied, robust and oily-smooth. Malted biscuits with rich honey then lingering pepper and spice. By the time the fourth malt was being handed out the noise around The Ubiquitous Chip Whisky Club was becoming louder with everyone enjoying themselves. 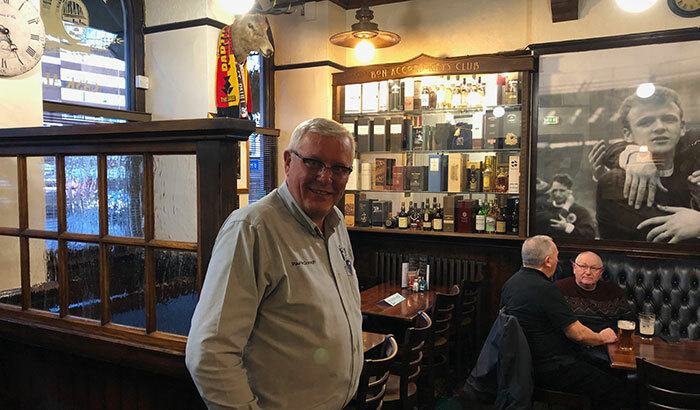 Iain from A.D Rattray was being asked more and more questions about each of the whiskies he was introducing as the whisky club members started to feel more confident and relaxed in their surroundings. He also burned some more peat in the bar to bring the atmosphere up to the perfect setting again for the fourth malt, a special malt that Ian could not say where this malt was from as it was a secret. 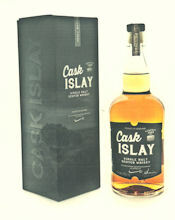 All he could say was the malt was from Islay, but you would guess that from the name "Cask Islay". 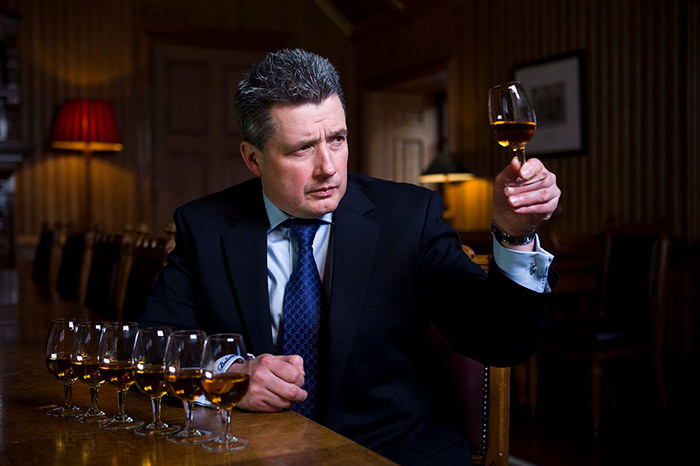 It is the newest addition to the A.D. Rattray portfolio with a strength of 46% ABV and is a small batch produced malt. It has all the characteristics that you would expect from an Islay malt with it instantly recognisable peat and smoke aromas. It was matured in bourbon barrels and sherry hogsheads sourced directly from small bodegas in Jerez. 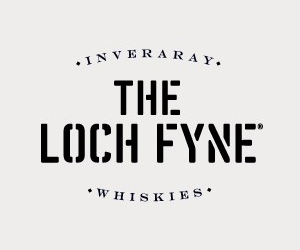 Palate: Oliy, burnt toffee, juicy barley and rich peat smoke. Conclusion : Lively, peaty and full of flavour. The whole night was a great success for all parties involved with over 30 whisky lovers creating a great atmosphere in "the wee bar" of The Chip. James MacDuffie of the Ubiquitous Chips said this about the first whisky club event "We are absolutely delighted with the launch of the Ubiquitous Chips whisky club - the turnout for the event was above what we expected, as was the enthusiasm and genuine interest shown by the diverse range of people that attended; there was a real buzz about the event! As a company, we strive to be innovative and traditional, to create intrigue and pass on a little of what we know. With the excellent whiskies, beautifully presented by Iain Croucher of A.D Rattray, and the delicious canapés, matched and provided by our own chef Andrew, we feel this is only the beginning of what we expect to be a staple event on the Glasgow whisky calendar. Much more to come from us, the next scheduled for July 10th." 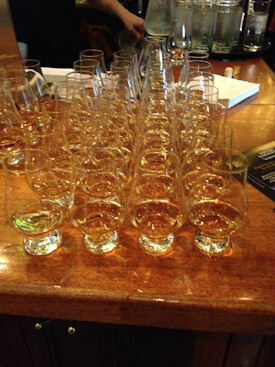 More details about The Ubiquitous Chip Whisky Club on their website.